Which free versions of popular commercial plugins do you use? Are there any that offer a comparable service to the paid versions? Please share your thoughts and recommendations in the comments below. Great and free… You can’t say nothing more! I love this blog, one of my favourites on the net. You always have something informative to post up, everyday. Awesome alternatives! Thanks for the info. They are very good, but it lot more free plugin to do what we need in our blog, and we dont have to move to premium. I am always on the lookout for good plugins. Thanks for posting this list. I am going to give a couple of these plugins a test run.. Unfortunately i read this article, After this article i decide to use Tweet Wheel Lite its very plugin. I strongly recommend for this plugin. Thanks for this useful informative article. Joe, great content. I started with MotoPress before falling for Divi. MP can still do layout options Divi can’t. I was pleased to see it here, and the lead, too. While your content was good, the text was bloated with superfluous words, unclear phrasing, and repetition (however,). 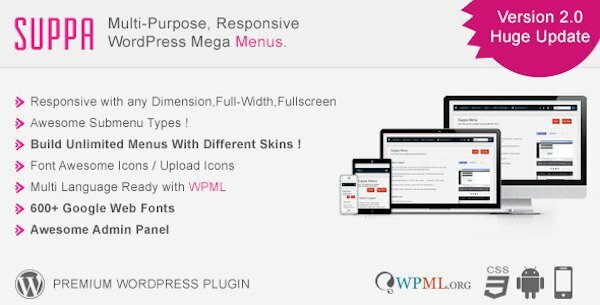 The premise of the blog is that there are free, lite versions of premium WP apps. It’s unnecessary to repeat that in each app content, especially as if it were a surprising discovery. Given your premise, you probably could have written a lighter version. Hi Randy! As a newbie blog writer, this is awesome. Thank you so much for sharing your feedback. Upon re-reading the blog post, I can see what you mean. I’m not the author, but this was incredibly helpful. Joe – I hope you don’t take offense to it and see it as a opportunity to grow as well. Thanks for the feedback, I will try and create a lighter version of my content next time. Nothing can be better than this.All the alternatives is really very good.Thanks for sharing. Good job and nice Xmas present. Good post! Very helpful. I can’t afford premium stuff at the moment so I’m always looking out for lists like this. I’ve been looking for a good page builder so I’m excited to check out MotoPress. I have been a member for several years and I am very frustrated that I can’t login into your support forum. Since I can’t log into support, and there is no phone support, I can’t get seem to get this fixed. I have tried sending emails to your prospective customers contact us (I am sure those are read) but still I get no reply. So I guess I will start replying to all your blog posts until someone contacts me! Right now, my issues are with EXTRA. Hi Kathy, terribly sorry you have not been getting responses to your inquiries. Typically I would advise that someone try our contact form at http://elegantthemes.com/contact.html but it seems like you’ve tried that. I’d like to make sure you get the assistance you need so please email me directly at podcast[at]elegantthemes.com and I will make sure someone from support gets back to you. Be sure to include your username and the email address you have your ET account under.